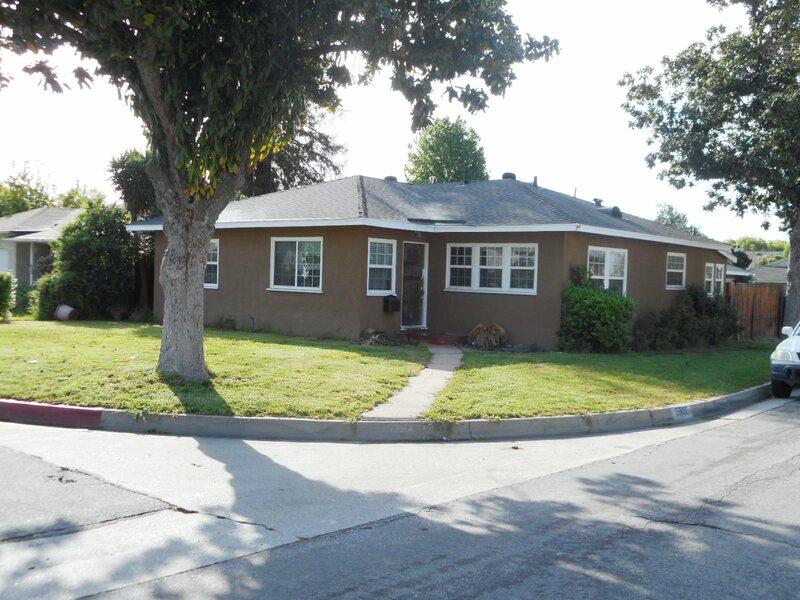 DESCRIPTION: TRADITIONAL 2 BEDROOM (2) ¾ BATH HOME ON A CORNER LOT IN THE VERY DESIRABLE COMMUNITY OF TEMPLE CITY. THE HOUSE FEATURES A LIVING ROOM & DINING AREA. KITCHEN WITH DISHWASHER. SERVICE AREA WITH WASHER/DRYER HOOKUP. ENCLOSED PATIO (MAY NOT BE PERMITTED) CENTRAL HEATING & AIR CONDITIONING. MASTER BEDROOM HAS WALK IN CLOSET. DETACHED 2 CAR GARAGE WITH ELECTRIC ROLLUP DOOR & ATTACHED STORAGE ROOM. GATED BACK YARD WITH PATIO, GRASS AREA & RV PARKING. HOUSE WAS REMODELED WHEN 2ND BATHROOM ADDED, IN WHAT WAS 3RD BEDROOM (REMODEL NOT PERMITTED). BUYER TO COOPERATE IN SELLERS 1031 EXCHANGE AT NO COST TO BUYER. 1031 EXCHANGE IS NOT A CONTINGENCY TO SALE. GREAT FIXER OPPORTUNITY. CLOSE TO SCHOOLS, SHOPPING & 10 FREEWAY. NO COURT CONFIRMATION. LOT SIZE: 5,432± SQ. FT.